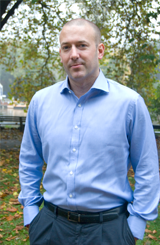 Toby Higson has extensive experience working in education and training. He has developed and delivered English language courses across all CEFR levels from A1 to C2. He has worked with individuals, multinationals (including factories), and government agencies across the UK, Belgium and Luxembourg. He has taught learners of all ages from 5 to 65 and delivered a wide range of exam classes including TOEIC, IELTS and PET preparation classes. Since 2010 he has combined teaching with developing his own business providing advice to language schools on what represents an excellent experience for learners. Much of his current work is focused on improving the quality of the qualifications, resources and services that are offered to learners, in meeting the requirements of the British Council, other inspectorates and best practice. This has given him a powerful insight into the needs of his customers. 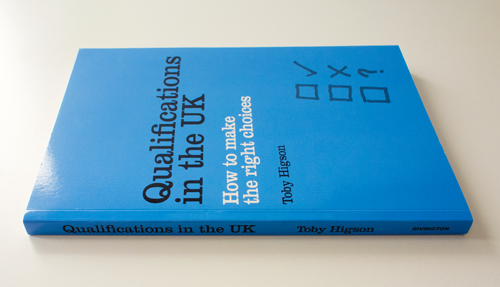 ‘Qualifications in the UK, How to make the right choices’ is borne out of my experiences working across the qualification system in the UK. I have worked with excellent learning providers, who not only provide high quality courses, but also offer a vibrant learning community for their students. I have also experienced very poor practice and have witnessed first-hand the frustration faced by students who have spent a great deal of money on a poor quality experience. My vision is to help give learners the confidence to assert their rights as consumers. The book explains how to make informed judgements on the quality of a qualification and the organisation offering to teach that qualification. Just as importantly, the book explains what learners have the right to expect as they progress through their study, and what to do if something goes wrong. Does your language school need to prepare for British Council, QAA or ISI Inspections? Does your language school need to develop new courses or improve its policy framework and quality assurance? Does your company need an innovative English course designed against clear learning objectives? Do you need to improve your English, learn wider business skills and have fun while you are doing it?